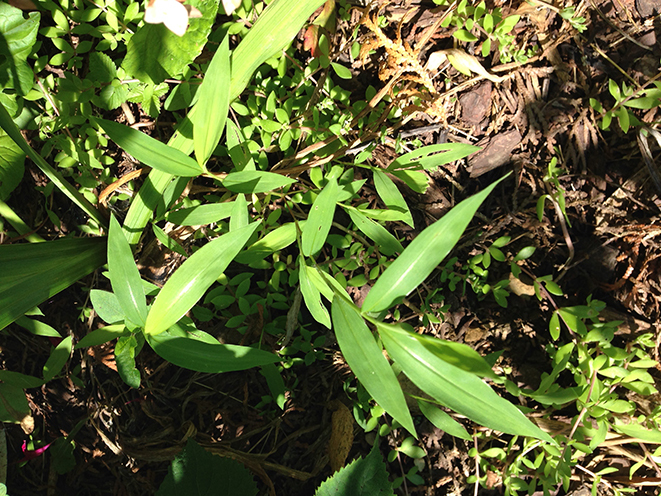 Resembling a delicate, feathery bamboo with a silvery line down the center of each leaf, stiltgrass appears wimpy. It has weak stems and roots, and pulls readily out of the soil. But it makes up in numbers what it lacks in strength. Flowering plants can both self- and cross-pollinate, and produce anywhere from 100 to 1000 seeds. Once it has seeded in your garden, till the soil and you’ll see it everywhere: sunny places, shady areas, under other plants, colonizing bare ground. Horses, deer, and even goats won’t eat it. It’s thought to have been introduced into the U.S. in 1919 as packing material. In gardens, hand weeding is the best control, but timing matters. Let stiltgrass grow until right before flowering (usually late July) before pulling it. Pulling earlier disturbs the soil, giving seeds enough time to germinate, grow, and go to seed themselves. Although seeds will germinate in July, there won’t be time for those plants to go to seed. This can eventually deplete the seed bank. 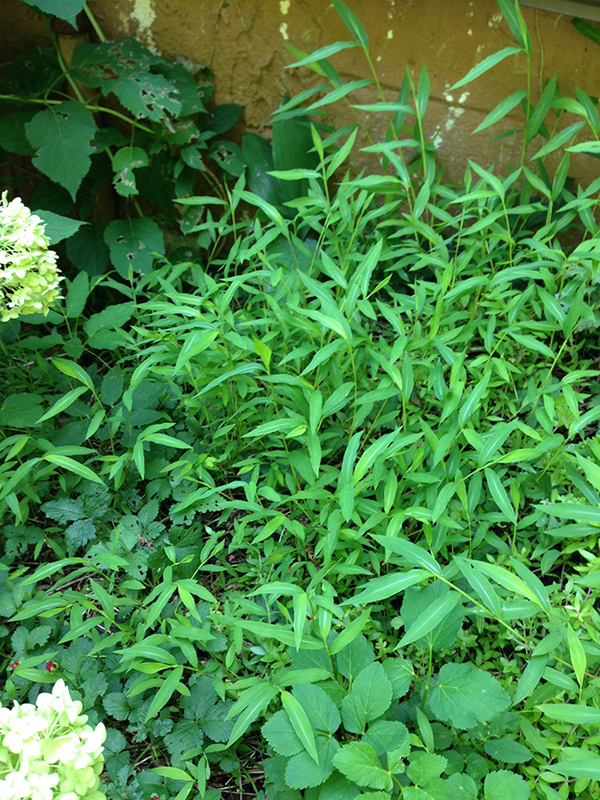 For larger areas, mow or weed whack in July when plants are tall but before they go to seed. Leave the pulled or mown grass in the sun to dehydrate. Bag and remove any plants that have gone to seed. Stiltgrass is classified as invasive in 29 states, from New Hampshire to Florida, west to Texas, and north to Iowa. 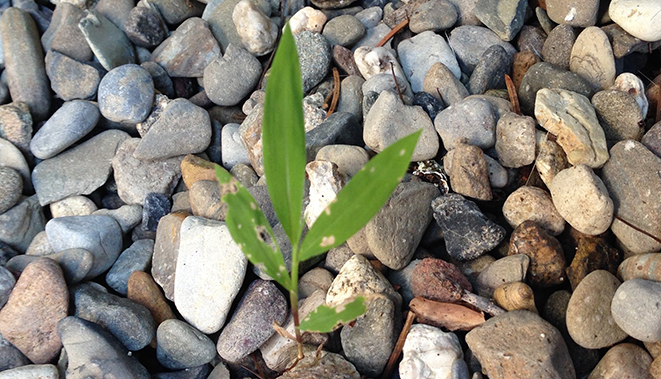 For more information, go to this Purdue Extension Weed Science Bulletin or to invasivespecies.gov.